The economics of platforms are built on network effects. But for platforms, network effects are a double-edged sword. Successful platforms are very hard to compete against, but the same network effects that drive this “platform lock-in” also make platforms much harder to build. The reason is simple: for platforms, the more people there are on one side of the business the more valuable the platform is to the other side. For example the more producers (app developers) there are in Apple’s App Store, the more valuable the platform is to consumers. 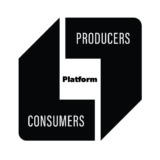 This relationship goes both ways, so that the more producers there are on a platform, the more valuable that platform is to consumers. This dynamic means that when competing with a successful platform, you aren’t simply competing on the strength of your product or its features. You are also competing with the platform’s ability to support an entire ecosystem of consumers and producers and all of the products they provide as well. This ecosystem is a core part of a platform’s value that isolated products don’t provide. Even worse for the potential competitor, platforms also have a tendency to expand and add features in a process called “platform envelopment.” This means that when competing against a platform, new businesses only have a brief window of opportunity to achieve success. Otherwise, once a new product eventually becomes commoditized, it is easy for the platform to simply add that product as a feature, taking away any potential advantage that its competitor had. Think Facebook adding its events feature or Amazon adding its streaming service. Platform envelopment can spell trouble for any existing businesses and is a key reason why any business today should be thinking about platforms. If you’re not, you may soon pay the price. The difficulty of competing with platforms means that there tends to be a winner-take-all dynamic to platform economics. Typically, one or two platforms will control the lion’s share of their industry – just look at what Apple and Google have done with smartphones. As platforms become more common and disrupt more and more industries, platform dominance will mean that many non-platform businesses will be left fighting for a smaller and smaller piece of the market. A non-platform business can still succeed by capturing a slice of another platform’s ecosystem (think Samsung with Android), but controlling the platform is the most sustainable – and most lucrative – way to go. Stored value is an investment that you make in a platform that increases over time with repeated use, increasing the importance of a platform the more a user engages with it. The personalization aspect of platforms, like Amazon’s recommendations feature, tends to be a key part of creating stored value. Combined with the network effects of established platforms, stored value creates the kind of platform lock-in that makes competing with a successful platform extremely difficult. Remember though, the impact of network effects on platforms has a downside: it creates what is typically called “the chicken and egg problem.” A new platform business faces the distinct challenge of having to build both sides of its ecosystem. The problem is that without users on one side of the ecosystem, there is little incentive for users on the other side to sign up, and vice versa. How many companies would make apps for a platform that had no customers? Or how many consumers would buy products from a marketplace with no sellers? This dynamic makes a platform’s pricing and system design extremely important for its success – and much more complex than it is in a traditional business. It also means that creating a successful platform is much more difficult than simply creating a product in a one-sided business. Many platforms solve this chicken and egg problem by focusing on one side of the business and effectively subsidizing that side in an effort to create a community that will provide value to users on the other side. This is what Applico advisor and platform expert Glen Weyl calls an “insulating strategy,” meaning that you insulate users on one side of the platform from the lack of participation on the other side by effectively subsidizing participation. Nike has done this recently in an attempt to build Nike+ into a platform, providing money to developers to create apps for their product. And Apple used a similar strategy of subsidizing developers early on. Some platforms have also succeeded by incentivizing consumers to invite their friends. Another type of insulating strategy is creating a killer app and providing it at low cost or even free to drive volume. On the consumer side, an example would be Facebook (the app) as the killer app for Facebook the platform, which now hosts an enormous software ecosystem. Without the original Facebook app, Facebook would not have achieved the success it did. But without the broader Facebook platform, the original Facebook app would not have achieved the staying power it did. 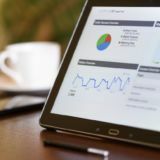 On the producer side, Opentable took the reverse strategy, providing low-cost software to restaurants that allowed them to streamline their booking systems. Opentable succeeded by establishing a wide user base on the producer side before it eventually opened its service to consumers. In both cases, the platform effectively subsidized users on one side of the platform. It then used that to attract users to the other side and build a sustainable ecosystem. All of this only scratches the surface of platform economics. Other challenges, like how to take a successful early-stage platform and grow it toward critical mass, are a significant part of building a platform. 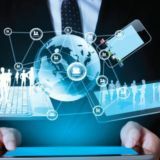 But understanding how network effects influence platform success and how platforms differ from traditional business models should give you a sense of why platforms today are so innovative and disruptive – and why you should think about building one. In the Connected Revolution, it’s platform or perish.